Well I'm back after a few weeks' absence. Has anyone missed me at all? Due to various things, I've taken a break from blogging. I haven't really missed doing it either, as sometimes it has got to be a bit of a chore. 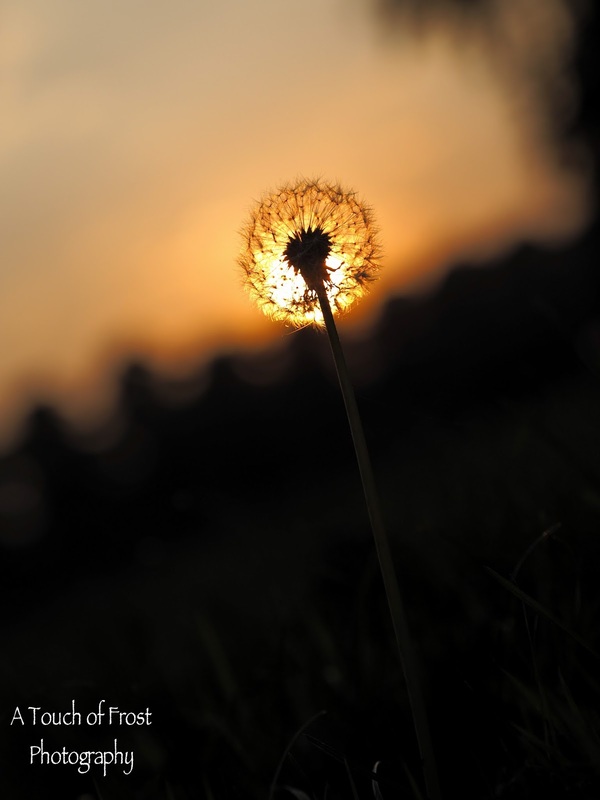 But anyway, I'm back, and today's photo is of the sun setting behind a dandelion, taken in Highfields. I had to take quite a few photos to try and get the dandelion in the right place, so that it covers the sun. It certainly has been lovely and sunny recently. Almost like a proper summer. Although I must admit that I have found it a little too hot sometimes, especially at night, when I've tried to sleep. If there are any photography geeks reading this, the shutter speed was 1/5000, f2.8 and ISO 100.